Singapore is a city, a country, and an island nation, all wrapped up into one neat little package. Considering its rather small size, there is so much to see and do! 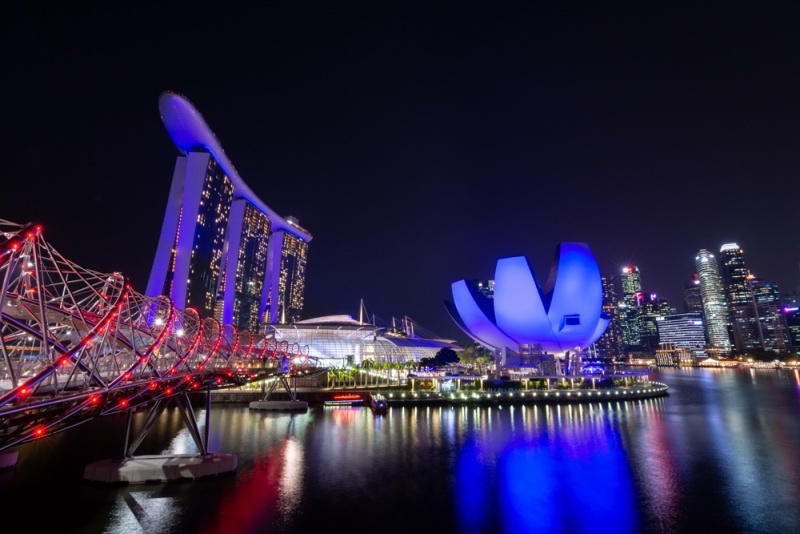 We would recommend spending at least 4 days in Singapore to hit all of the highlights. 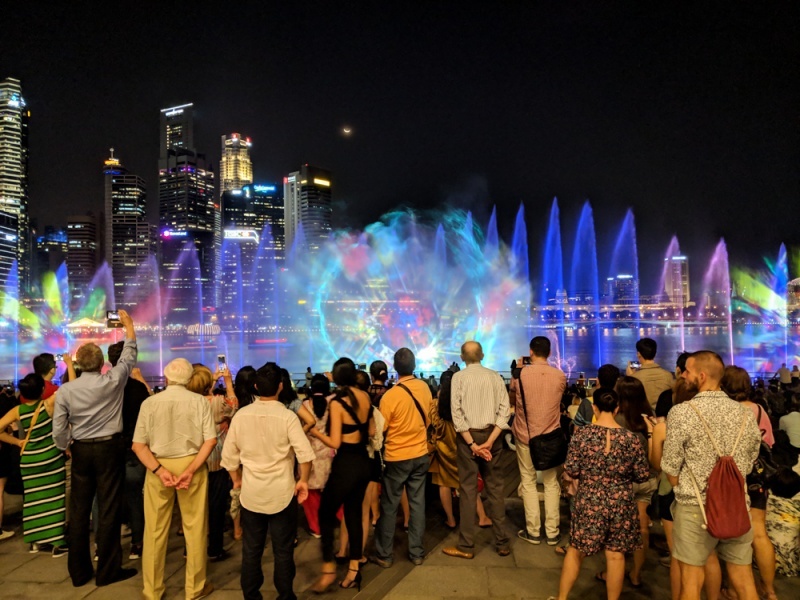 Showcasing a spectacular skyline, dramatic evening sound and light shows, perfectly manicured gardens, delectable dining options, theme parks, and countless shops, visitors of all ages will fall in love with Singapore. Plus it is super clean, well organized, and easy to navigate, what’s not to love? 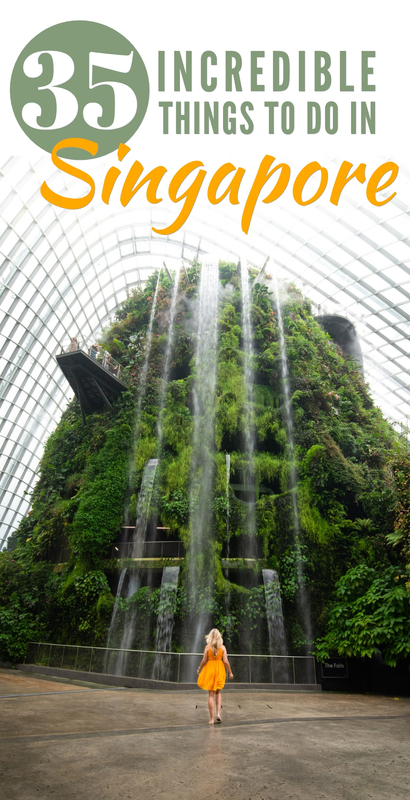 Check out our list of the top 35 things to do during your trip to Singapore and have a wonderful trip! The currency in Singapore is the Singapore dollar (SGD). At the time of writing the exchange rate was $1.35 SGD to $1 USD. In this post we refer to prices in Singapore dollars. Alcohol is expensive! But don’t worry, we recommend a few cheap bars below (check out #33). Many restaurants, stores, and bars are closed on Sundays, and some even on Mondays. If you’re dying to try a specific restaurant make sure you check their hours of operation in advance. Don’t buy a local SIM card, ask for a tourist one. You’ll get 100 gigs of data for just $12 SGD and it’s good for 7 days. You can even preorder one on the Klook app and save a few bucks! Singapore has enormous fines for everything. Smoking in non-designated areas, eating or drinking on the metro, and other seemingly small offenses. Be careful so you don’t leave with a bill. The most convenient way to get around Singapore is to take Grab. It’s the Uber of SE Asia. Just download the app, select your pickup point and destination, and you’ll get a driver! It’s so much easier and cheaper than hailing a taxi. If you’d rather save some cash, the Singapore metro is an easy and inexpensive way to get around. You’ll usually pay just $2 for a one-way ride. If you plan to take frequent metro rides, consider getting a tourist pass. You’ll have to buy and return the card at an information booth (and the card rental fee is $10) but you’ll pay just $10 for a one-day pass, $16 for a two-day pass, or $20 for a three-day pass. And you can ride as much as you’d like! Be sure to download the Klook app on your phone before visiting Singapore. You can save money on tickets for the major attractions around the city if you pre-book them on Klook. Plus you can skip the long lines since you’ll already have your tickets right on your phone! Don’t forget to pre-buy your SIM card to get a great deal as well. Get Your Guide also makes travel to Singapore super easy by allowing you to pre-book your activities, arrange tours, and skip the lines. If you’re looking to splurge a bit during your vacation in Singapore, then the Parkroyal on Pickering is the place to do it! Conveniently located near Chinatown, the Parkroyal is a gorgeous hotel with an outdoor pool and beautifully maintained garden spaces. Rooms are spacious and comfortable and you’ll be treated like royalty by the amazing staff! 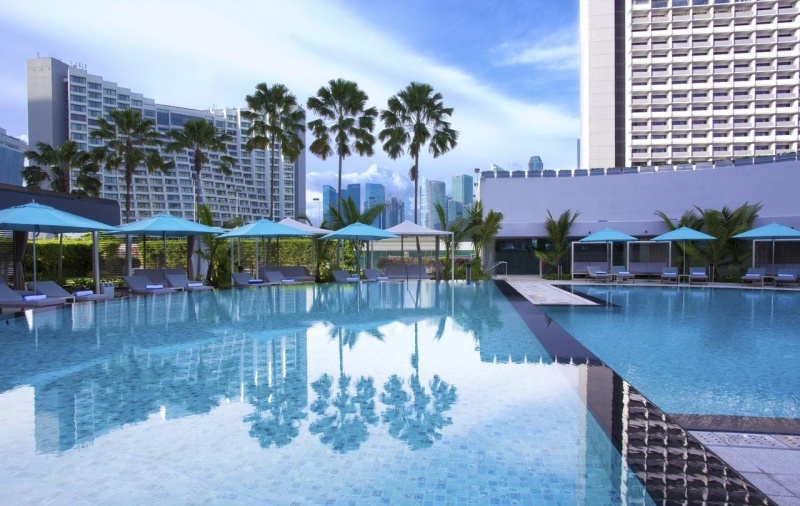 If you’re looking for a mid-range hotel, consider the Pan Pacific Singapore. It’s located right near the marina and Gardens by the Bay. The spacious and well-appointed rooms offer panoramic views of the city and their lovely outdoor pool is the perfect escape from the afternoon heat. 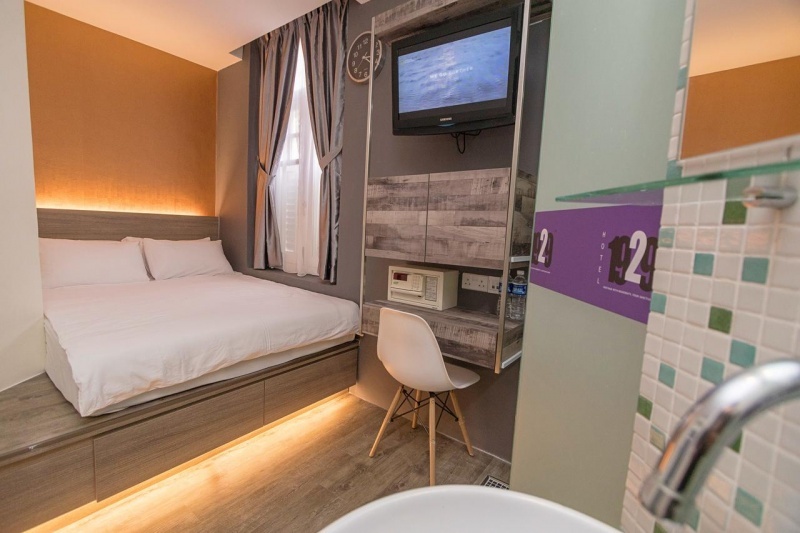 If you’re on a budget but aren’t interested in staying in a dorm or in a pod, then Q Loft Hotel 1929 in Chinatown is a great option. Rooms are simple and modest but comfortable. And you can’t beat the location for the nightly rate! 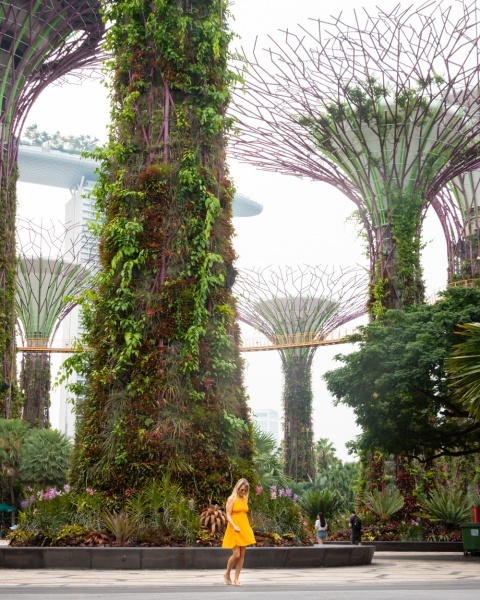 Gardens by the Bay has been made famous by the massive man-made Supertree structures that are covered in greenery. This 101-hectare garden contains three distinct waterfront gardens – Bay South, Bay East, and Bay Central. 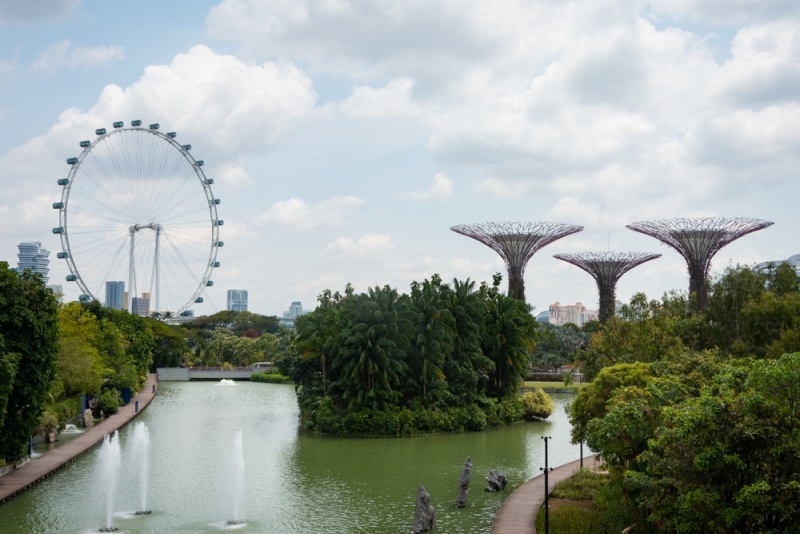 The Supertrees and the two popular conservatories are in Bay South. Entrance to the Gardens by the Bay is free of charge but you’ll need to pay to enter the conservatories or to walk along the OCBC Skyway. 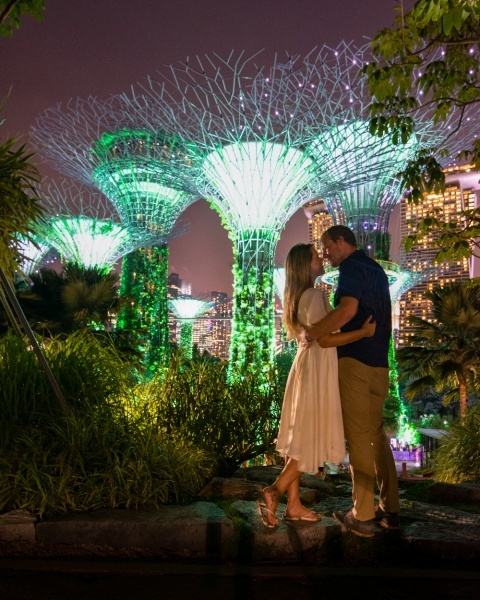 The most popular time to visit the Gardens by the Bay is in the evenings when the Supertrees are lit up against the backdrop of the impressive skyline. There are two light and sound ‘Garden Rhapsody’ shows every night at 7:45pm and 8:45pm. It is incredible to see the vibrantly colored lights that flow perfectly with the classic instrumental tunes. It’s a busy time in the Supertree Grove as this is one of the top things to do in Singapore, but there’s plenty of room for everyone to enjoy the show. SGD per adult and $5 SGD per child aged 3-12 years. 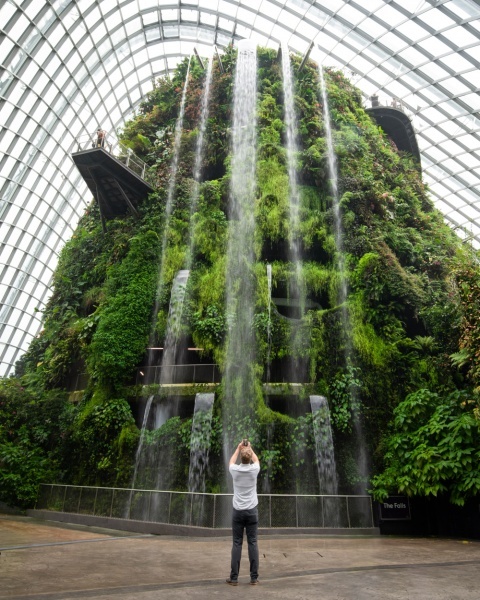 The conservatories are popular exhibitions to visit in the Gardens by the Bay. Cloud Forest has beautiful orchids and other tropical plants on display as well as a 115-foot man-made mountain and waterfall. You’ll take an elevator to the top of the mountain and then make your way down while enjoying the views. Be sure you stop and take photos of the waterfall as this is a one-way attraction (although you can get a stamp and reenter if you want). Flower Dome is the other conservatory that many people enjoy visiting. It is full of beautiful plants from various regions all over the world. They keep the huge dome at springtime temperatures year-round so you’ll love the respite from the hot Singapore sun! If you’re anything like me, you’ll be a lot happier if you bring a sweater. 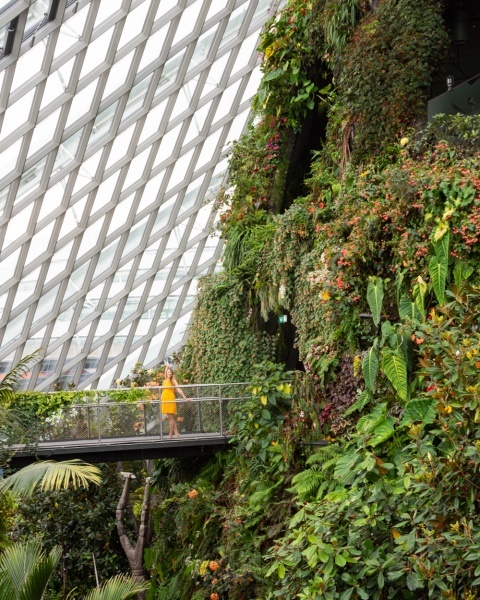 Entrance Fees: Technically each conservatory is $14 SGD per person for adults and $7.50 SGD for children aged 3-12 years but they force you to buy a ticket for both (so $28 SGD total). The unlimited shuttle service is $3 SGD per person for anyone age 3 and above. Hours: Conservatories are open from 9:00am until 9:00pm daily with last admission at 8:00pm. The Marina Bay Sands is one of the most iconic and recognizable buildings in Singapore. Three enormous towers are connected at the top by what appears to be a massive surfboard. It was the filming location for the final scene of Crazy Rich Asians so if you’ve seen the movie, you’ll recognize it. 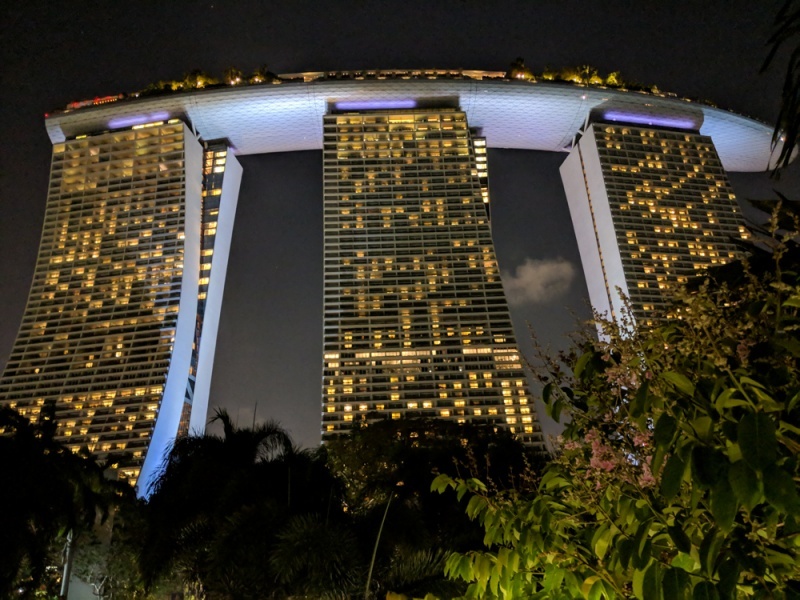 Guests of theMarina Bay Sands Hotel have unlimited access to the infinity pool, the observation deck, and the bar at the top for free. But even if you aren’t staying there, you can pay a fee to check out the spectacular 360˚ views of the city below. You can visit the observation deck or have an overpriced Singapore Sling at the rooftop bar. Entrance Fees: $23 SGD per adult, $20 per senior citizen aged 65 and older, $17 SGD per child aged 2-12 years, and free for children under 2 and guests of the hotel. Hours: The observation deck is open Monday through Thursday from 9:30am until 10:00pm. Friday through Sunday from 9:30am until 11:00pm. Future World: Where Art Meets Science is an interactive exhibit at the ArtScience Museum (this lotus-shaped building is hard to miss). It is a fun, engaging, and interactive experience for all ages! When you walk in you’ll be greeted by a display of flowers that travel across the floor and onto the walls. The flowers change in varietal and a waterfall begins cascading down the wall. Notice how the water seems to split where you are standing. The next room, called “Town”, is the most popular with kids. There is a slide with more moving lights for the kids. And you can color different city building blocks like cars and airplanes and then upload them to the digital display. And you can see your little car driving around town! There are also lit-up building blocks that change color for creating structures for your town. Beyond that is “Sanctuary”, a space to relax from the hustle and bustle. And then comes “Park”, another room that kids will love with a Light Ball Orchestra and an interactive game of hopscotch. The final room is the most impressive, it’s called “Space” and it is filled with strings of lights and mirrors. So it appears that the flashing lights go on and on forever. The back room is the most popular spot for photos but be prepared to wait your turn. Entrance Fees: $19 SGD per adult and $14 SGD for seniors, students, children age 2-12, and people with disabilities. The “family package” includes 2 adults and 2 children for $54 SGD. Hours: The website and tickets state that admission times are limited to 10:00am, 11:30am, 1:00pm, 2:30pm, 4:00pm, and 5:30pm (last entry) to ensure that everyone has time to interact with the exhibitions. This appears to be only during peak times. The ArtScience Museum is a lotus-shaped building that sits right on the bay and as you exit you’ll want to see this impressive structure from afar. 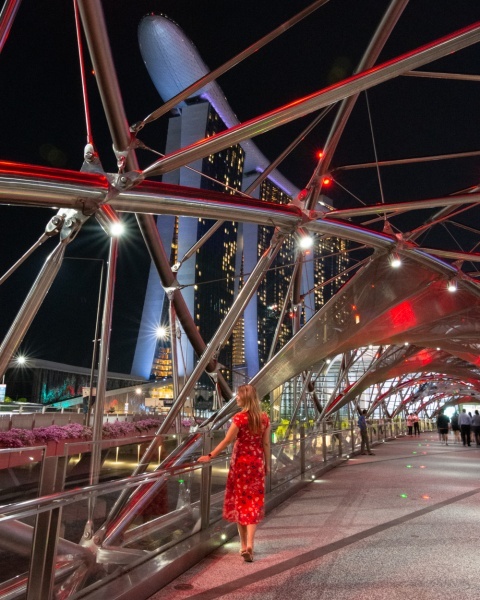 Walk across the Helix Bridge (which comes alive at night when it is lit up) and check out the view of the skyline from the viewing platforms. The promenade makes a complete loop around the bay and there are plenty of bars, restaurants, and lovely sights along the way. If you want an even better view of the skyline, consider taking Bumboat Cruise. It’s a 40-minute ride and the cost is $25 SGD for adults and $15 SGD for children. The Bumboats run from 9:00am until 11:00pm daily and they leave about every 15 minutes. You can book your cruise in-person on the bay or in-advance to secure your place and skip the line! The Helix Bridge is the bridge you’ll need to cross when you exit Future World to begin your loop around the bay. It’s an impressive structure to say the least, and is aptly named. The bridge is only for pedestrians and it is popular in the evenings with joggers or families enjoying the skyline views. The bridge lights up in the evenings around sunset and is definitely worth taking two trips to see it by day and by night. Directly across the bay from Future World is the most famous statue in all of Singapore – the Merlion. The view here of the Merlion on the waterfront with the spectacular Marina Bay Sands building in the background is one of the best views in the city! Chili crab is a popular dish in Singapore and a must-try for seafood lovers! And while you can find it at many restaurants around town, the best place to try chili crab is at Boat Quay on the river. Here you’ll find restaurants with containers holding massive crabs at various price points. If business is slow, they may throw in a few free beers or negotiate on the price per kilo. Regardless, expect to drop some cash. The Spectra Light and Water Show takes place right on the bay in front of the Marina Bay Sands on the Bay. It’s a spectacular show and most certainly shouldn’t be missed (especially since it’s free!). Show times are Sunday through Thursday at 8:00pm and 9:00pm, and on Friday and Saturday at 8:00pm, 9:00pm, and 10:00pm. Another impressive structure that you’ll see from your walk around the bay is the massive ferris wheel called the Singapore Flyer. Technically it’s called an “observation wheel” and it’s Asia’s largest. But unlike a normal ferris wheel, you’ll be treated to your 360˚ views while sitting safely inside an enclosed capsule. And unlike the similarly shaped ride, the Observation Wheel moves very slowly, allowing you to take in all the sights. Your flight will be one full rotation and will take 30 minutes. At the top of the ride you’ll be 540 feet off the ground so those with a fear of heights should skip this one. If you really want to indulge, consider upgrading to a champagne or meal flight! 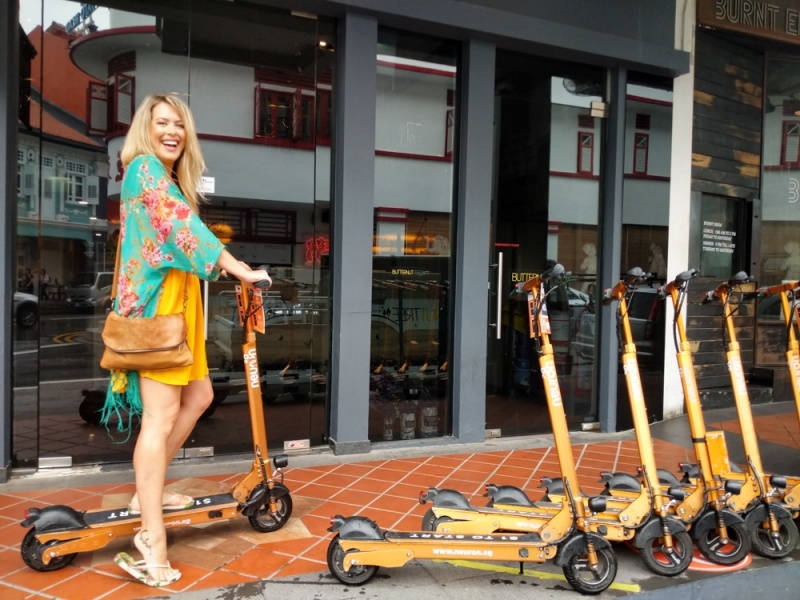 Book a Flyer and Singapore Sling Cocktail Ride! Entrance Fees: $33 SGD per adult and $21 SGD per child aged 3 – 12. Hours: Open daily from 8:30am until 10:30pm with the last admission at 10:15pm. With its massive golden dome towering above the other nearby buildings, the Sultan Mosque is truly an impressive work of architecture. Also known as the Masjid Sultan, the mosque was originally built in 1824 and is still a popular place for worship to this day. It is a center point for the Muslim community in Singapore. The gate on Kandahar Street frames the mosque perfectly and is a beautiful photo spot. Want to learn more about Singapore’s Malay culture and heritage? Be sure to stop at the beautifully restored Malay Heritage Center. The exhibits are well-signed and there are some gorgeous artifacts on display. It’s a rather small space so you probably won’t need more than an hour here. Haji Lane is a darling little street near the Sultan Mosque that is filled with colorful street art and cute boutiques. Almost every shop has racks of $20 SGD dresses sitting outside so you can get some of the best shopping deals in all of Singapore! 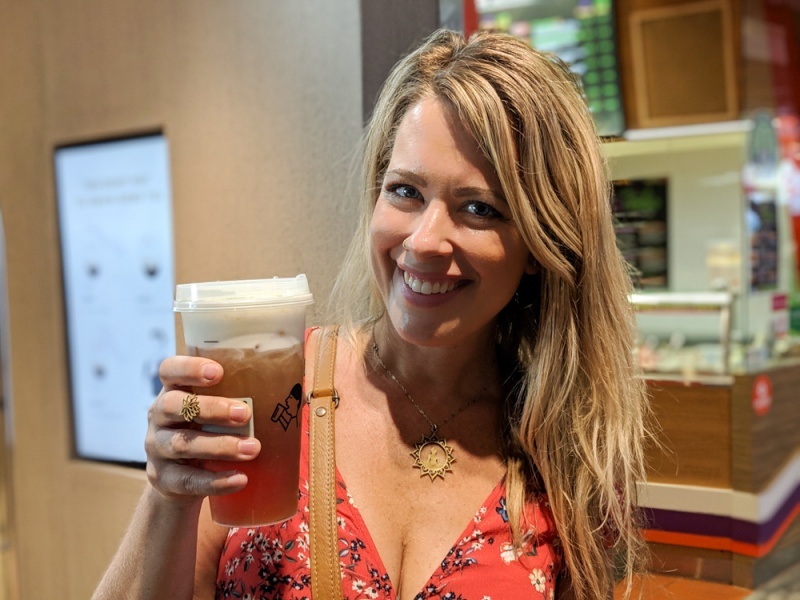 Be sure to stop into Selfie Coffee for a cup of iced coffee with your picture printed onto the foam. At $8.50 SGD per cup, it’s pretty pricey but worth it for the silly photos. 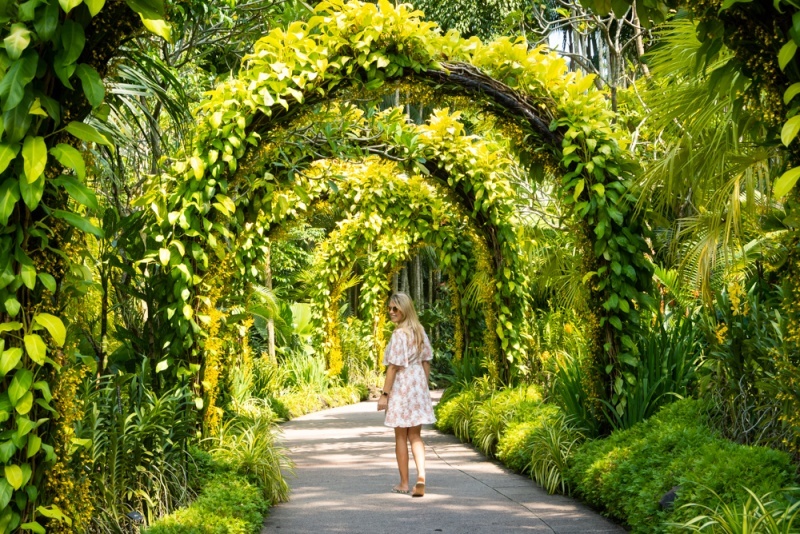 The Singapore Botanic Gardens is the perfect place for a peaceful afternoon stroll. It’s a massive, beautifully maintained (and free!) park with different exhibits that are fun for the whole family. Be sure to check out the National Orchid Garden near the center of the park. It costs $5 SGD per person to enter but it’s certainly the highlight of the entire park. 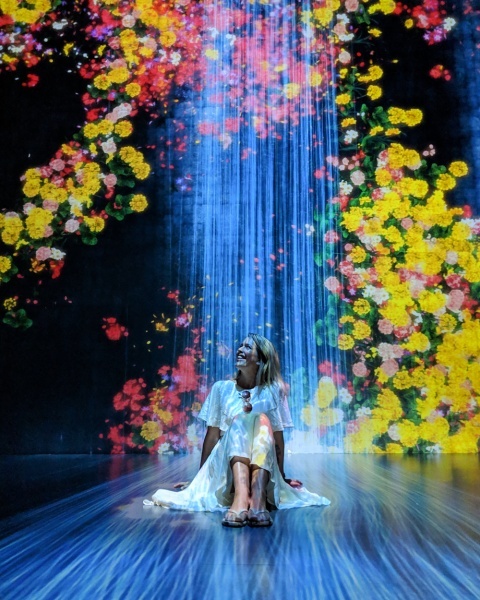 There are some of the most beautiful orchids here, as well as several fountains and other picturesque flora creations that you won’t want to miss. Chinatown is a super hip and trendy area of the city where you’ll find locals and foreigners alike – eating, drinking, and being merry. Restaurants here are reasonably inexpensive and it’s also a great place to pick up souvenirs for your friends back home. The Chinatown Food Street is full of restaurants and stalls and the Chinatown Complex Food Center is right next door. Our absolutely favorite spot for cheap, delicious, and local fare was Maxwell Food Center. There are dozens of food stalls here offering all types of cuisine options at really reasonable prices. 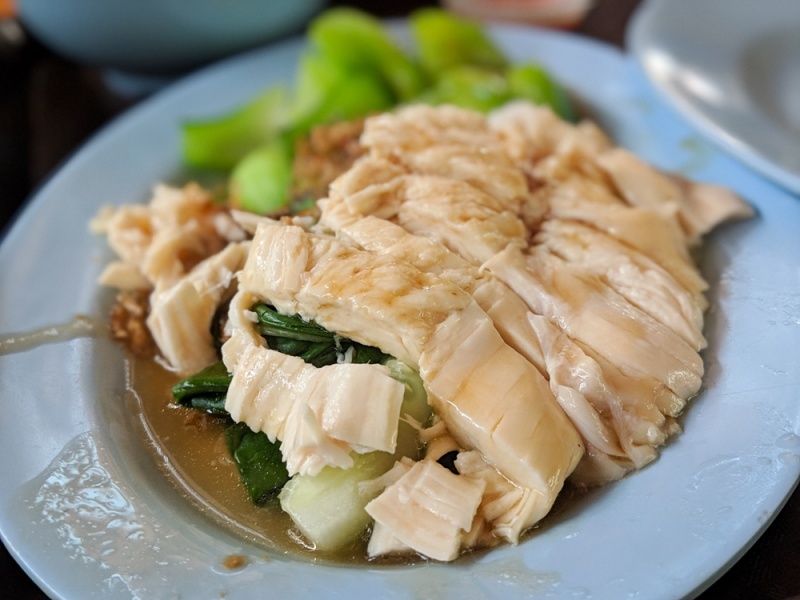 Be sure to try our favorites – Tian Tian Hainanese Chicken Rice, Sunto Gyoza, and Hock Soon Roasted Duck Rice (the name is not written in English but it’s stall #71). 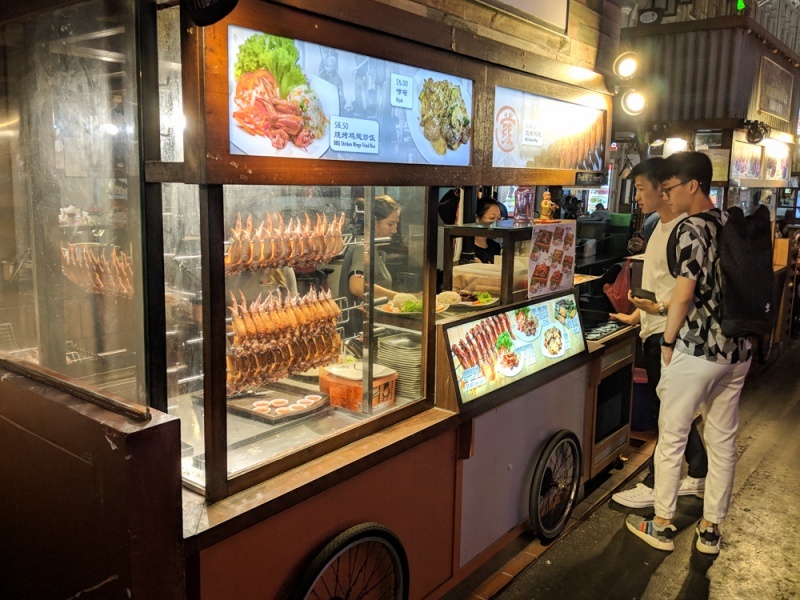 Beware, the most popular stalls usually have a long line and sell out of their best dishes early. 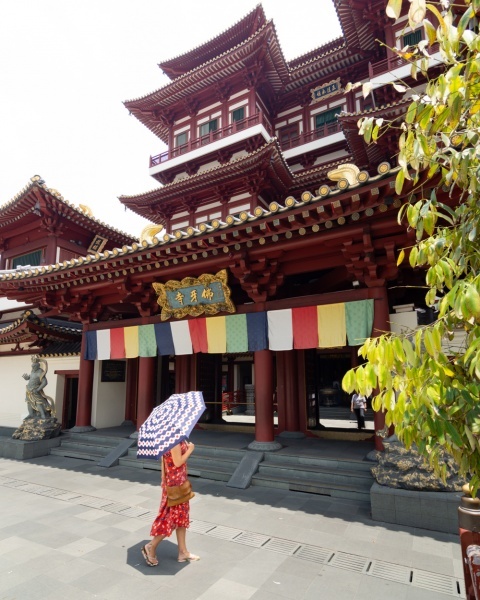 The Buddha Tooth Relic Temple is a beautiful temple, both inside and out. It was built in 2007 and contains what is believed to be the left canine tooth of Buddha, recovered from his funeral pyre. The inside of the temple is just as impressive as the outside, with a large statue in the center and hundreds of smaller statues lining the walls. There are sarongs and scarves that you can borrow if you are wearing shorts and/or a tank top. 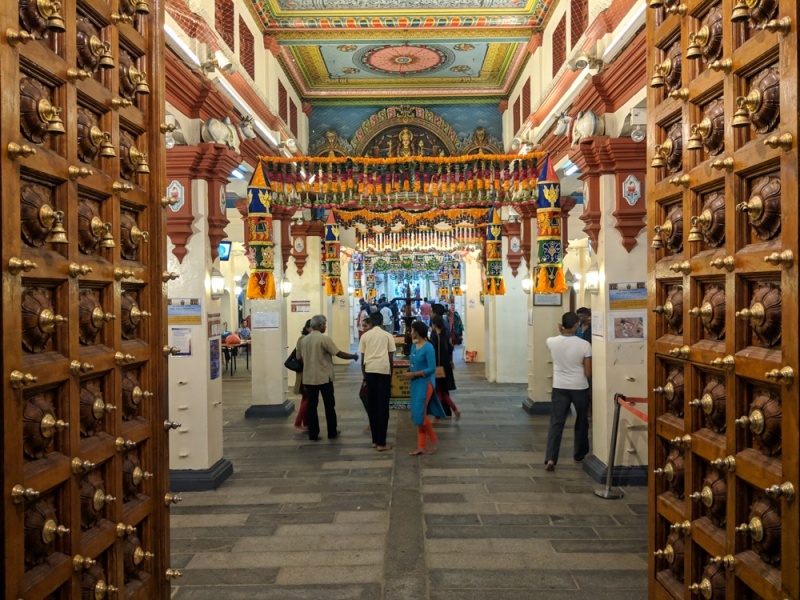 Just down the street from the Buddha Tooth Relic Temple, you’ll find the Sri Mariamman Temple, Singapore’s oldest Hindu temple. The outside of the temple is covered with colorful, intricate carvings and the inside is almost always filled with people praying. 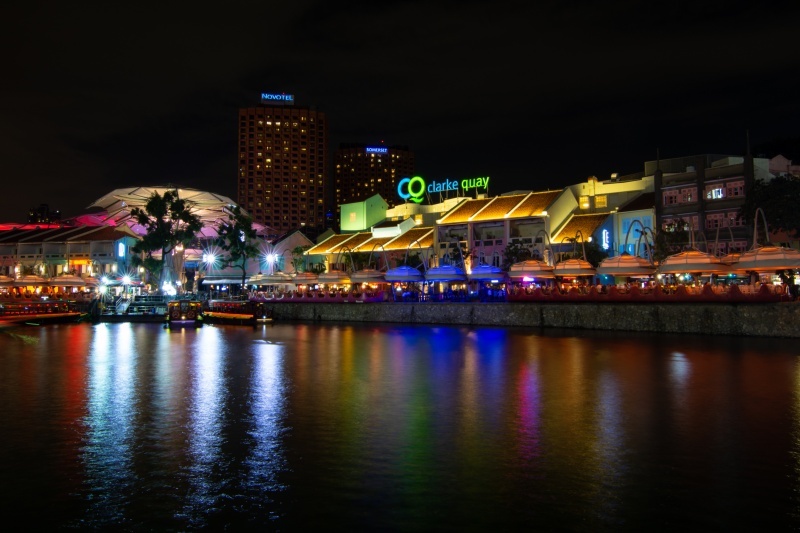 Clarke Quay is an area surrounding the Singapore River that comes alive in the evenings! Restaurants selling delicious seafood line the riverfront and bars with live music are everywhere. The busiest nightclubs are at the T-shaped intersection of Read Street and Clarke Street. Here you’ll find happy hour deals on buckets of beer (if you consider $50 SGD for 5 beers a deal) and plenty of drunk expats. Check out The Crazy Elephant for live music on Sunday nights, you’ll feel like you’ve transported to a bar on Bourbon Street in New Orleans! The Singapore Sling is considered the unofficial drink of Singapore and it was supposedly invented in 1915 by Ngiam Tong Boon, a bartender at the Raffles Hotel. Makes sure you stop by the Long Bar in the Raffles Hotel to sample the famous cocktails where it was first poured. Unfortunately, the Raffles Hotel is under construction until August 2019. If you visit Singapore before it reopens then try Nutmeg & Clove on Ann Siang Hill in Chinatown to get your Singapore Sling fix. 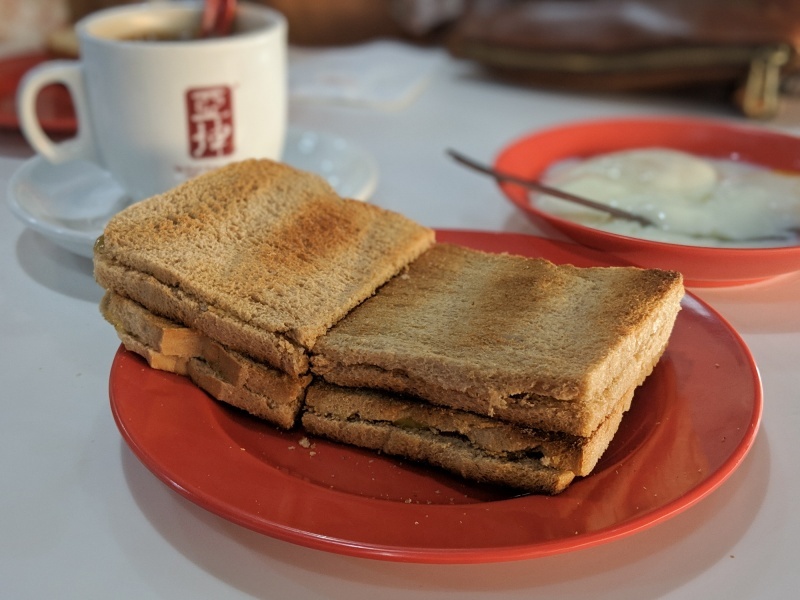 Kaya Toast is a popular breakfast dish in Singapore and Malaysia. The main ingredient, “kaya” is a jam made of coconut and eggs. It is served sandwiched between two slices of toasted bread, usually with butter or peanut butter. And you’ll get a side of two runny soft-boiled eggs for dipping. You’ll see local restaurants selling kaya toast all over Singapore. It’s a cheap, sugary, and delicious way to start your day! Kids and adults alike will have a blast at River Safari! This massive 29-acre park is home to 400 plant species and over 7,500 aquatic and terrestrial animals. The park has different themed zones including “Wild Amazonia”, “Ganges River”, “Giant Panda Forest”, “Mekong River”, and more. And you’ll have the opportunity to see manatees which is certainly a highlight of the park. For an additional cost you can even have interaction time with the manatee family! Most of this river-themed wildlife park can be explored on foot at your own pace. There’s also a Reservoir Cruise so you can check out the park from the river. You’ll love seeing all of the wildlife here as well as learning as you make your way through the different exhibits. If you’re looking for more wildlife encounters during your trip, then the Singapore Zoo should be high on your list! Home to more than 300 species, this rainforest environment has been designed in an “open concept” to make your experience exceptional. Want an “animal experience” that you’ll never forget? Pay a bit extra for the Jungle Breakfast with Wildlife where you’ll enjoy a buffet breakfast with a family of orangutans! It’s served daily in the Ah Meng Restaurant from 9:00 – 10:30am (the animal appearance is from 9:30 – 10:00). Best to make a booking ahead of time. The Singapore Zoo is a fun way to spend an afternoon, but if you’re looking for a real adventure, go on a night safari! This 40-minute tram ride will take you through 6 geographically-themed regions where you can see the nocturnal animals out and about. There are around 900 animals in this 86 acre park, most of which you won’t get to see in a regular zoo because they sleep during the day. Jurong Bird Park is Asia’s largest bird park and is home to almost 3,500 birds from 400 different species. Adults and kids alike will love the large walk-in aviaries with free-flying birds. Dine with parrots to make your trip to the bird park extra special! Tip: Want to check out the river safari, the zoo, the night safari, and the bird park? Buy the Parkhopper Pass and get all 4 for only $80 SGD! The Hill Street Police Station and Barracks was built in 1934 and used as an interrogation center by the Japanese during WWII. 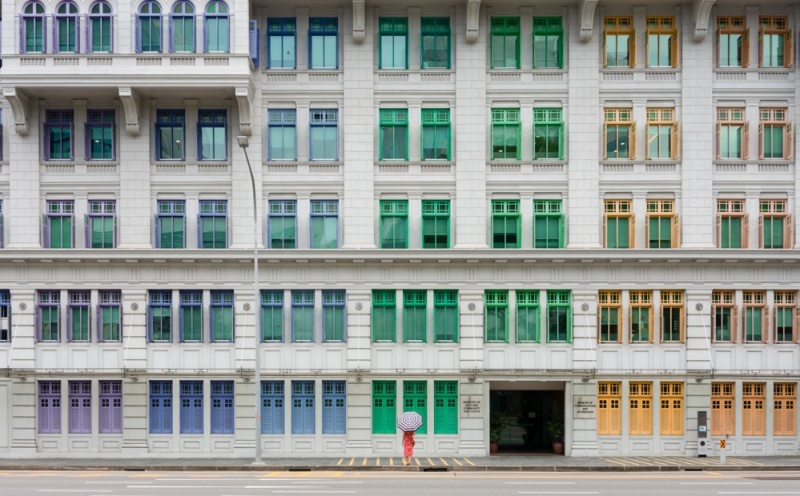 In 2000 it was renovated and given a fresh paint job to be the vibrantly colored building that it is today. Right near the old police station is Fort Canning Park, a hill that has been quite important in Singapore’s history. Fourteenth-century kings had palaces on top of this hill and it was a command center and barracks for the British during WWII. Today it is a well-maintained park with information about its history on signage throughout. 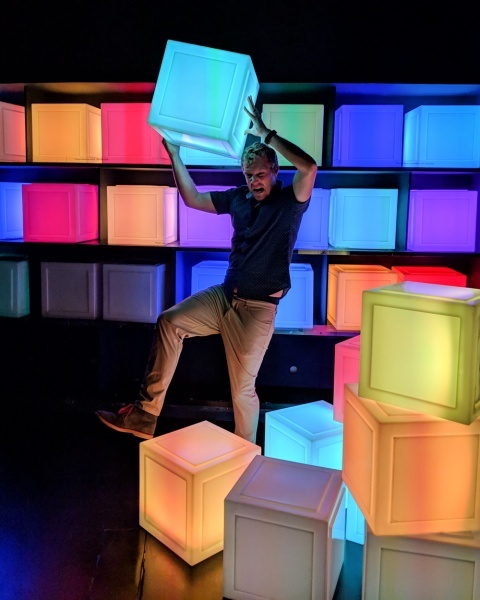 History buffs may be interested in “The Battlebox Tour” which includes a tour and a history lesson on the eventual surrender of Singapore to the Japanese in 1942. Tours take place from Tuesday through Sunday at 9:45am, 11:00am, 1:30pm, 2:45pm, and 4:00pm. 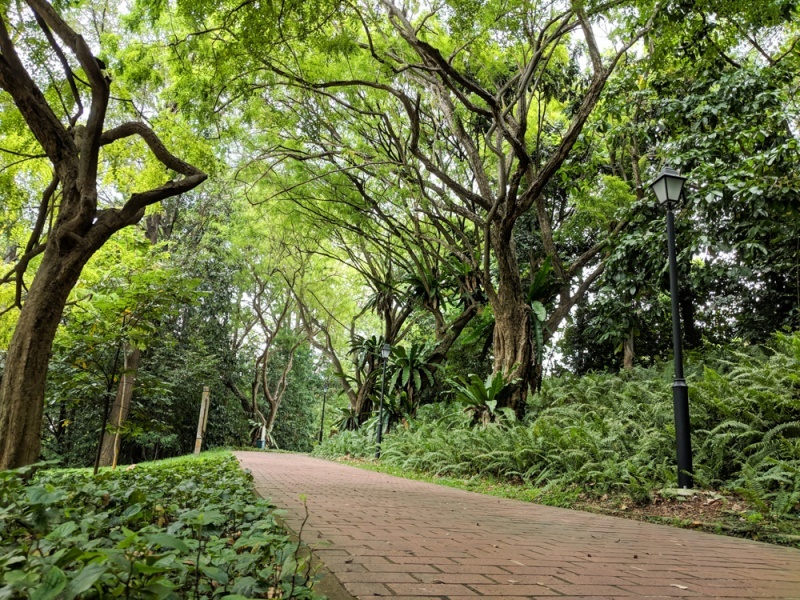 You can even book a 2.5-hour walking tour if you want to make the most of your trip to Fort Canning Park. Orchard Street is lined with shopping mall after shopping mall. If you want to do some shopping during your trip to Singapore this is the place to do it. Be sure to stop into Tiong Bahru Bakery for the best almond croissant you’ve ever had! The sleek and modern Library@Orchard is a public library on the 3rd and 4th floors of the Orchard Gateway mall. 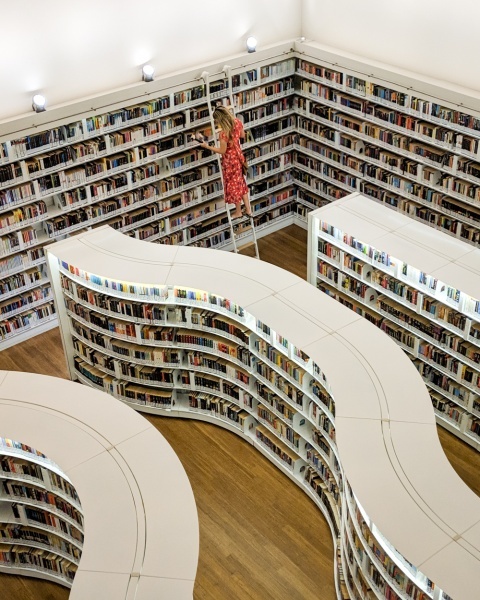 It is beautifully designed with glossy white curved bookshelves. It’s a quiet space where anyone can go to get some reading or work done. And the library staff are all incredibly helpful (and patient with all of the people snapping photos). If you think that cheesy tea sounds weird, that’s because it is. Weird and delicious that is. The base of the tea is just regular iced tea (we chose oolong), and it is topped with foam made from cheese. The cup has a wide mouth so every drink includes some foam and some tea. You have to try it! Several tea shops in Ion Mall sell cheesy tea but the most popular is the Cheezo King Fone from HeyTea. 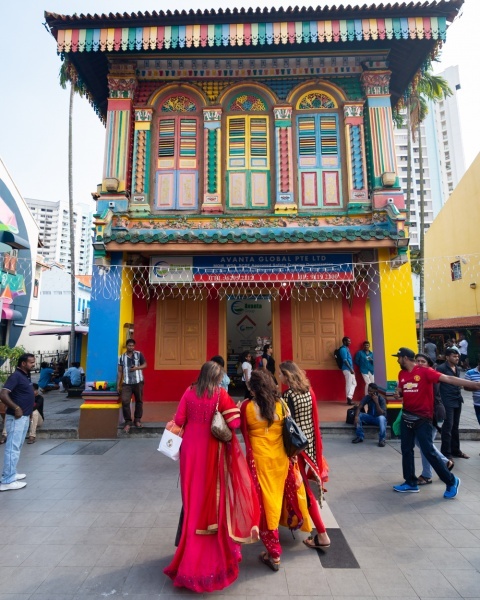 If you’ve ever been to a Little India in a major city before, you know you’ll find a few Indian restaurants and shops, but it’s nothing like what you’ll find in Singapore’s Little India. You’ll actually think that you’re in India. It’s filled with small fruit stalls, restaurants with tiny tables spilling out onto the street, shops hawking cell phone accessories and gold jewelry, and lots and lots of Indian men. Many of the houses in Little India are brightly painted but the most beautiful (and popular) is the Tan Teng Niah House. It is a cute rainbow-colored building in the center of an incredibly busy pedestrian street so be sure to get there early if you want a good photo! If you want to stop for a bite to eat in Little India, Azmi Restaurant has delicious chapati and lots of savory curries for dipping. It’s incredibly cheap and the super friendly staff will help you through the ordering process. The best way to get around the city is by electric scooter sharing. Just download the Neuron Share app, scan the QR code on the scooter of your choice, and start scooting! Station locations in Tanjong Pagar, Raffles Place, Telok Ayer, Bugis, Chinatown, Clarke Quay, Dhoby Ghaut, and Marina Bay. Just be sure you have your ID or passport on you at all times. If you’d rather have an experienced guide take you on an e-scooter tour of the city, it’s easy to book a tour! If you love Disney or are just craving some heart-thumping amusement park rides, then you’ll definitely want to spend the day at SE Asia’s first and only Universal Studios theme park! Universal Studios Singapore offers 24 rides, a variety of shows, street entertainment, meet and greets, and plenty of shopping and dining options. Sentosa Island off the southern coast of Singapore, is not only home to Universal Studios Singapore, but also Tanjong Golf Course, Palawan Beach, Siloso Beach, and Adventure Cove Waterpark. 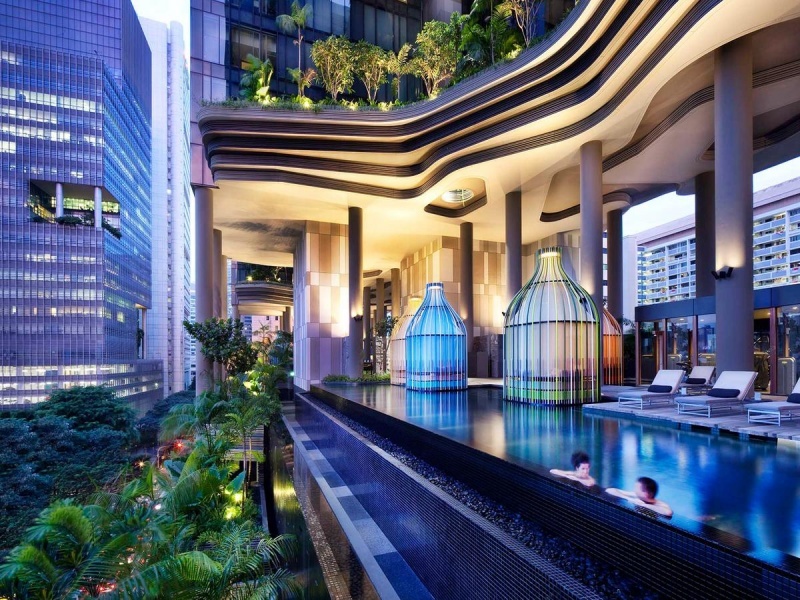 If you really want to pamper yourself, consider booking a room at the ultra-lavish Resorts World Sentosa – Beach Villas! The cable car ride from Mount Faber to Sentosa Island offers spectacular views far below. Another popular activity on Sentosa Island is a visit to the largest aquarium in the world – the S.E.A Aquarium. With 100,000 marine animals representing over 1,000 species, you’ll be fascinated by all of the exhibits and will want to spend several hours exploring this massive aquarium! As I mentioned above, alcohol in Singapore is incredibly expensive. It’s rare to find a beer, even a Budweiser, for under $10 at a restaurant or bar. And cocktails will run you closer to $20. But there are a few spots around town where you can find cheap booze if you have a hankering during your trip. For $5 SGD house wine (not including the “plus plus” which will add an extra 17% tax and service charge to your total), head to The Southbridge Hotel Restaurant and Whiskey Bar. They have happy hour all night long and usually have some live music to keep you entertained. This one is random but for the cheapest beer we ever found in the city, head to the 7-11 on Boat Quay. They have a small bar out front where you can get $4.70 SGD (net) draft Tiger beer! And finally, before you depart this amazing country, why not take a dip in the pool on the roof of the Changi Airport? Located in Terminal 1 at the Aerotel Airport Transit Hotel, guests can enjoy the pool, jacuzzi, and poolside bar while watching planes fly overhead. It’s the perfect end to a perfect vacation! What’s your favorite thing to do in Singapore? Looking for more things to do in Singapore? Check out our favorite travel guides!